Welcome to Howarth’s Garage, we are a family run business based in Mirfield West Yorkshire, established in 1984. We are one of the leading garages in the area for MOT testing, Serving & Repairs and vehicle Diagnostics. 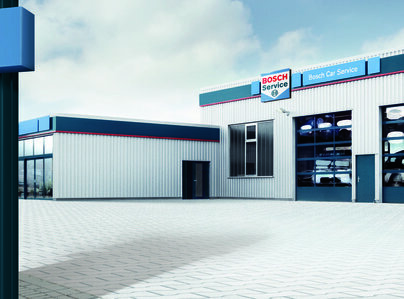 We are part of the Bosch Car Service network of garages allowing us to offer you a credible and cost effective alternative to the main dealers. You can be confident that when you leave your car with us it’s in safe hands. You can be sure that we’ll keep in touch through every stage of working on your car, including telling you what work is required and how much it will cost. We understand that you need to know what we’re doing and how much it will cost. Do you need a local garage with excellent customer service, friendly staff and a ‘can do’ attitude? Then look no further – Howarth’s Garage will go over and above to look after you and your vehicle. I have been taking my car to Howarth’s for years and I know he will do a great job for a fair price. It was just a small job but all aspects of the service were perfect. I would definitely use them again. I had a timing belt fixed in this garage. Happy to recommend them. I have 4 cars and they all get serviced and MOTd by Howarth. I always go back with every car we have in the family. Brilliant! Always keep me in the loop and never ripped me off. They have looked after my car for the last 15 years. If they were no good we wouldn't be trading with them. But we haven’t changed in 15 years, that says it all. 4 years MOTS. Reliable to give good advice and formal advisory notice, without advocating unnecessary repairs when there is life left in something. I have used Howarth's now for a couple of yours and take both family cars and motorbike for both servicing and MOT's. On all occasions the service provided has been exemplary and I always feel I get value for money. Unlike mainstream garages they never try to rip me off or have high labour charges.